High Efficiency = High Purity: When distilling essential oils nothing is more important that getting high quality fractions. 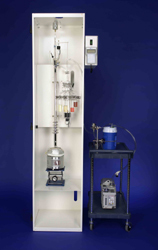 B/R fractional distillation apparatus have up to 200 theoretical plates at atmospheric pressure. Distillation columns can be stacked for even higher efficiencies. A high number of theoretical plates means the distillate will be high purity. Customized for your Application: B/R fractional distillation systems can be configured according to the specific needs of essential oil purification. Automation, vacuum systems, fraction collectors and other accessories can be integrated into the distillation system as needed. 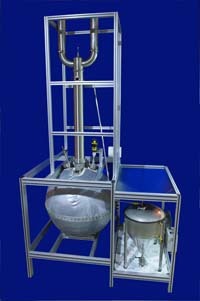 The result is a fractional distillation apparatus customized to your specific needs.